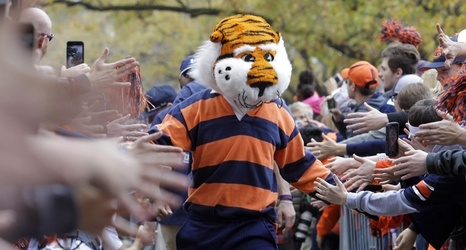 Me: Hey Aubie, big win last week! There’s a bit of hope around the more rational members of the fanbase after that win. I know some are still claiming the program is burning to the ground, but most of us have some hope. Aubie: You’re right, Crow. I was so excited after that win I unblocked AUFamily. Me: Wow you must have been feeling good. Aubie: I re-blocked them almost immediately. Just couldn’t take it. Me: Understandable. So who did you bring this week? Aubie: A guy I met at the golf cart dealership, he’s a real Georgia fan.